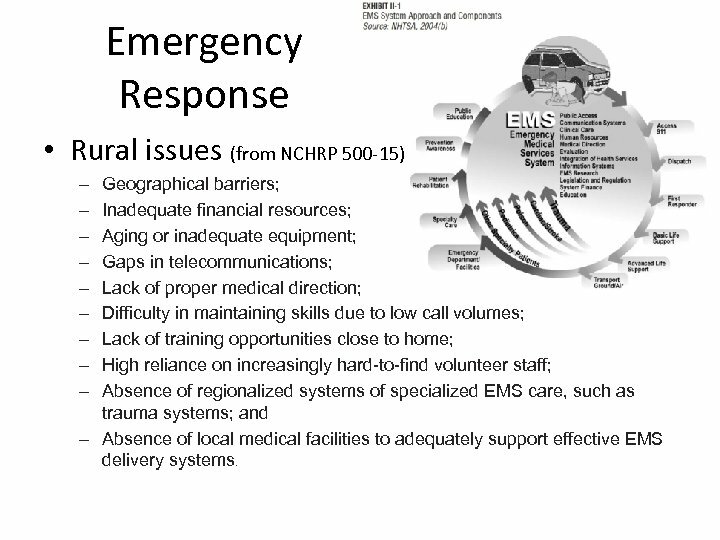 Emergency Response • Rural issues (from NCHRP 500 -15) – – – – – Geographical barriers; Inadequate financial resources; Aging or inadequate equipment; Gaps in telecommunications; Lack of proper medical direction; Difficulty in maintaining skills due to low call volumes; Lack of training opportunities close to home; High reliance on increasingly hard-to-find volunteer staff; Absence of regionalized systems of specialized EMS care, such as trauma systems; and – Absence of local medical facilities to adequately support effective EMS delivery systems. 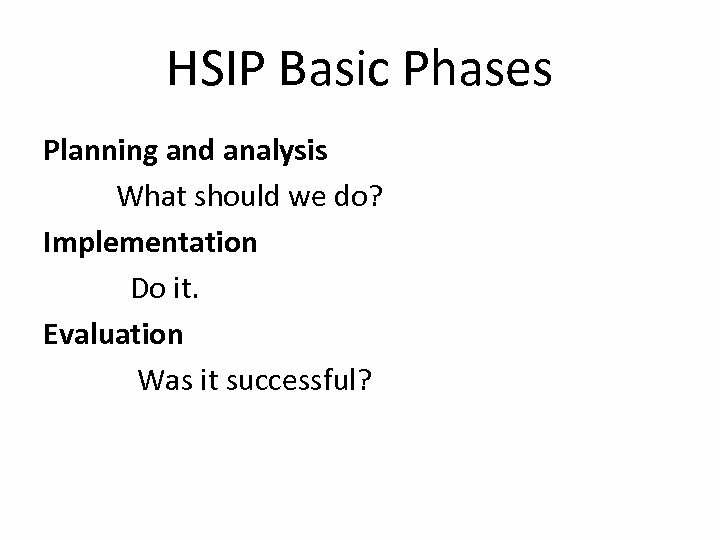 HSIP Basic Phases Planning and analysis What should we do? 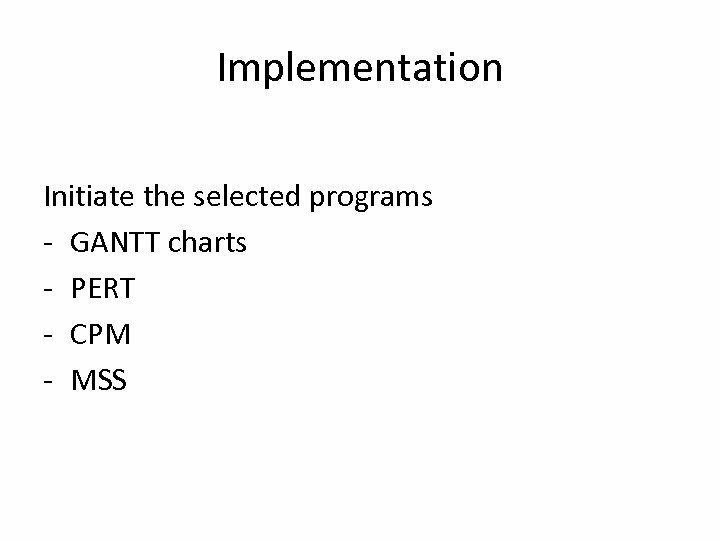 Implementation Do it. 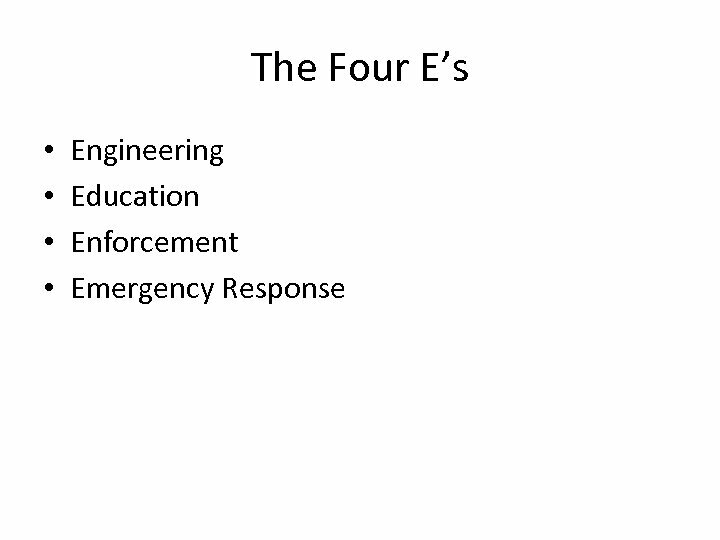 Evaluation Was it successful? 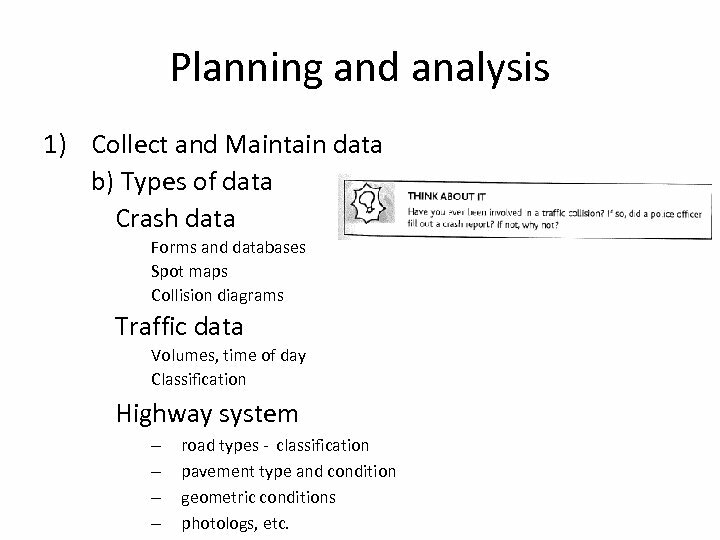 Planning and analysis 1) Collect and Maintain data b) Types of data Crash data Forms and databases Spot maps Collision diagrams Traffic data Volumes, time of day Classification Highway system – – road types - classification pavement type and condition geometric conditions photologs, etc. 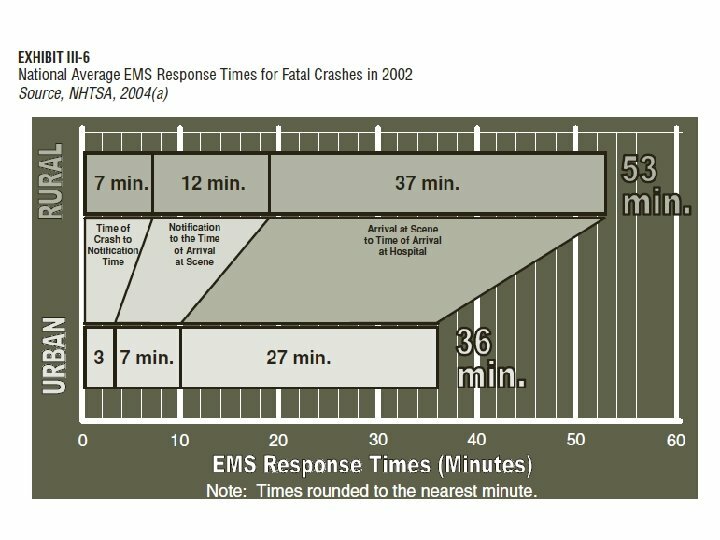 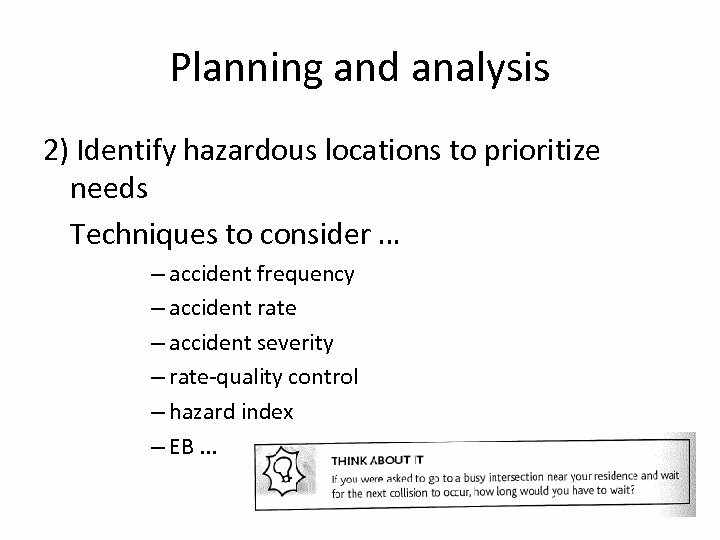 Planning and analysis 2) Identify hazardous locations to prioritize needs Techniques to consider … – accident frequency – accident rate – accident severity – rate-quality control – hazard index – EB. 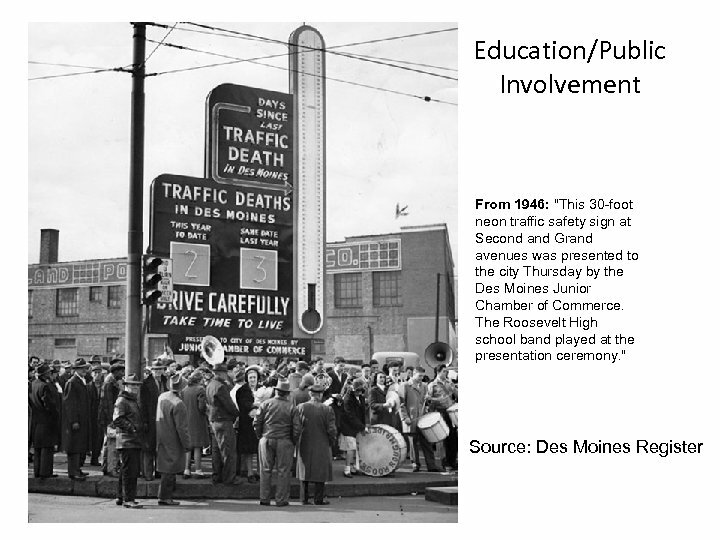 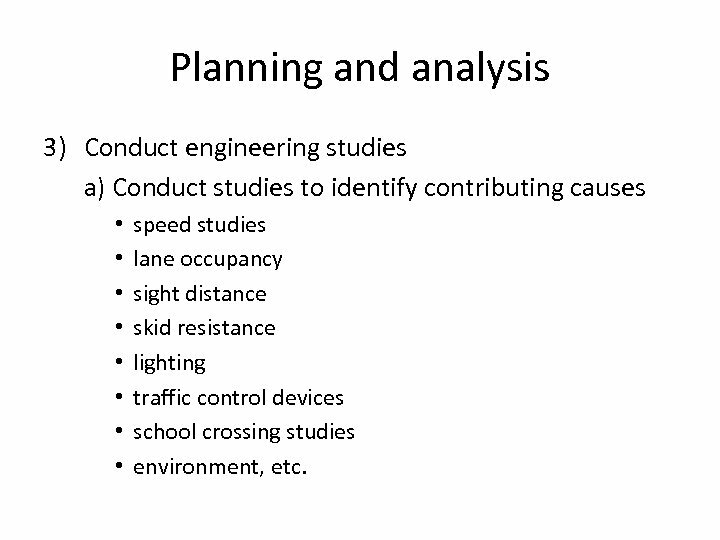 . .
Planning and analysis 3) Conduct engineering studies a) Conduct studies to identify contributing causes • • speed studies lane occupancy sight distance skid resistance lighting traffic control devices school crossing studies environment, etc. 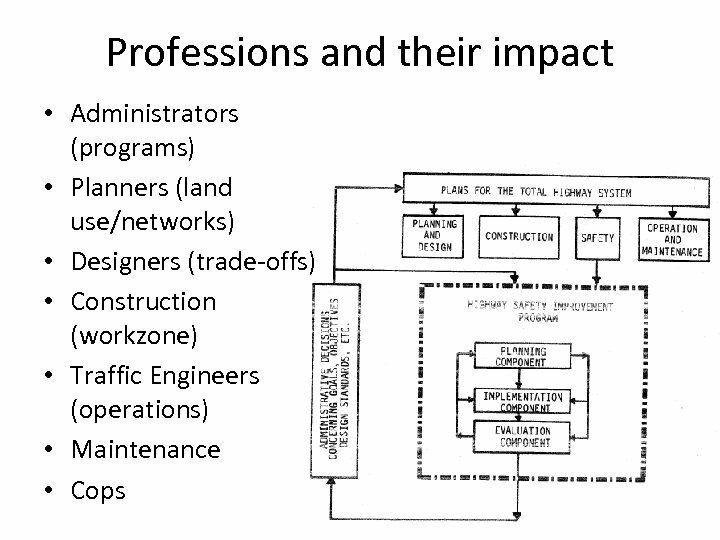 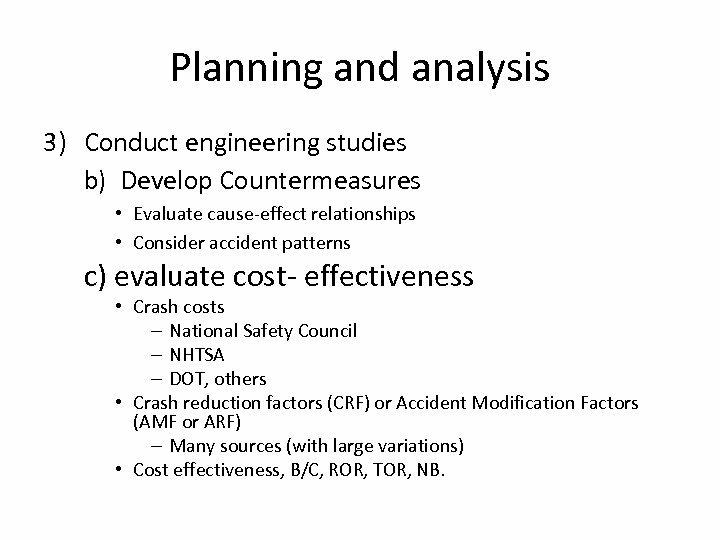 Planning and analysis 3) Conduct engineering studies b) Develop Countermeasures • Evaluate cause-effect relationships • Consider accident patterns c) evaluate cost- effectiveness • Crash costs – National Safety Council – NHTSA – DOT, others • Crash reduction factors (CRF) or Accident Modification Factors (AMF or ARF) – Many sources (with large variations) • Cost effectiveness, B/C, ROR, TOR, NB. 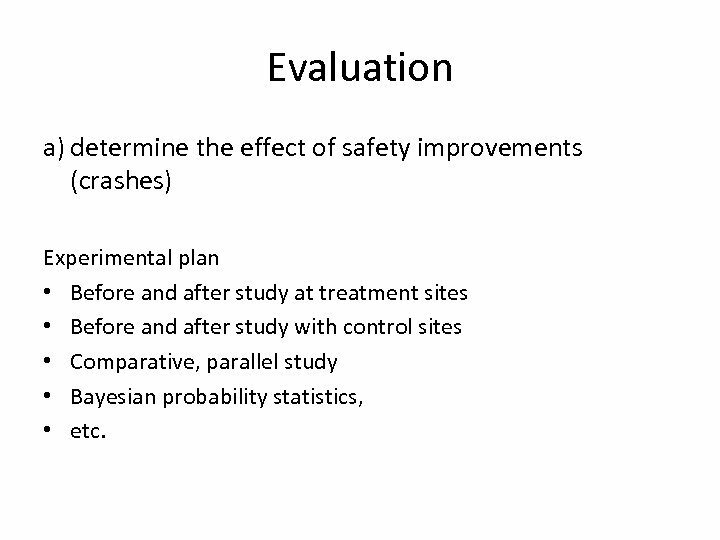 Evaluation a) determine the effect of safety improvements (crashes) Experimental plan • Before and after study at treatment sites • Before and after study with control sites • Comparative, parallel study • Bayesian probability statistics, • etc. 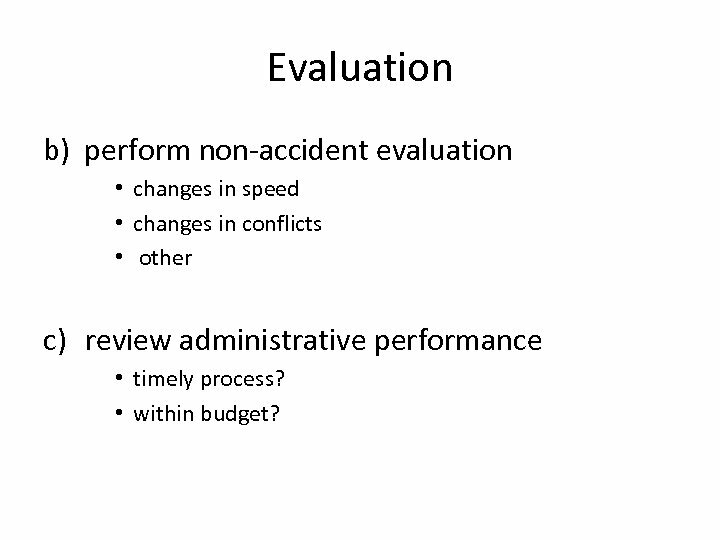 Evaluation b) perform non-accident evaluation • changes in speed • changes in conflicts • other c) review administrative performance • timely process? 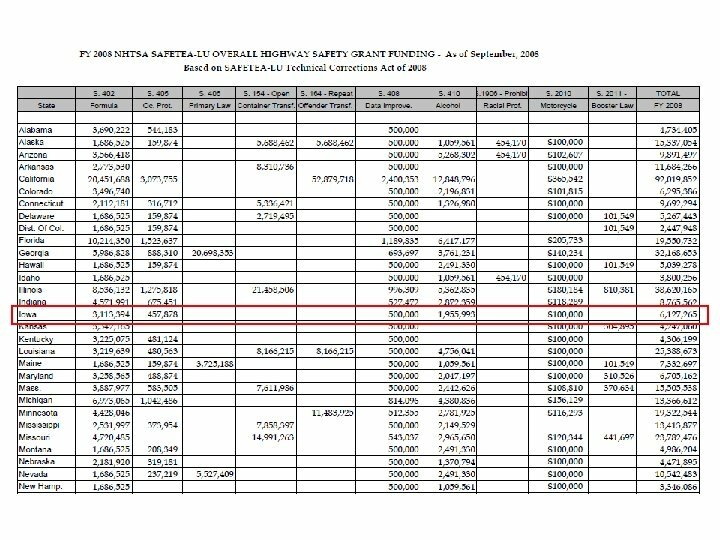 • within budget? 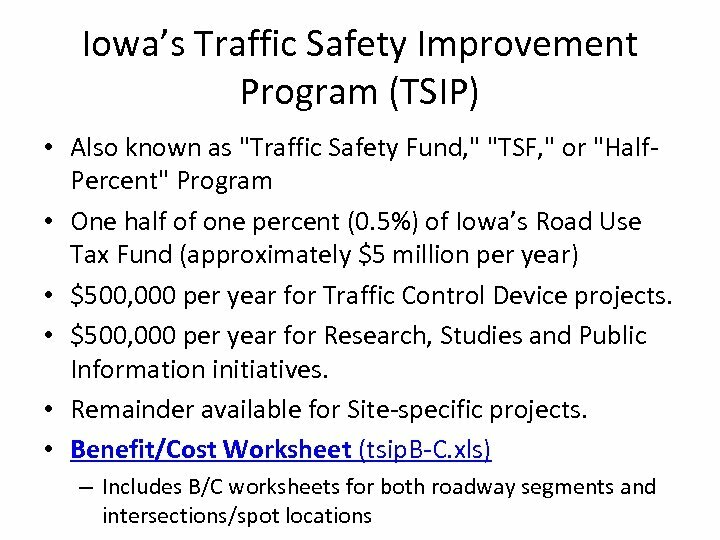 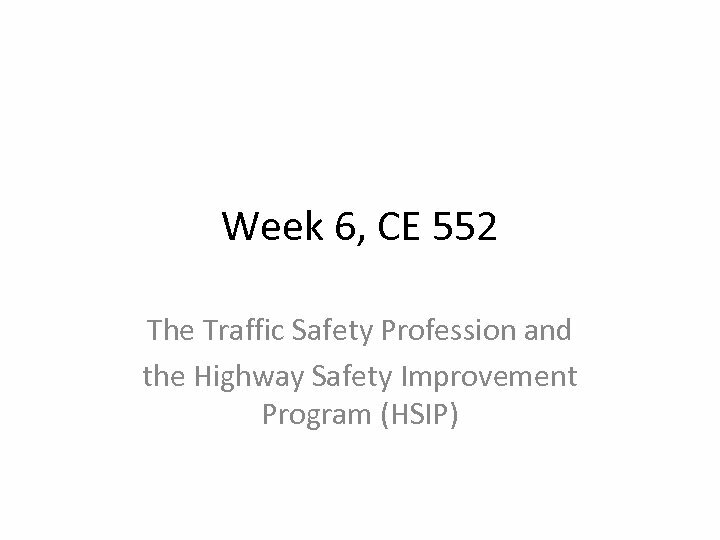 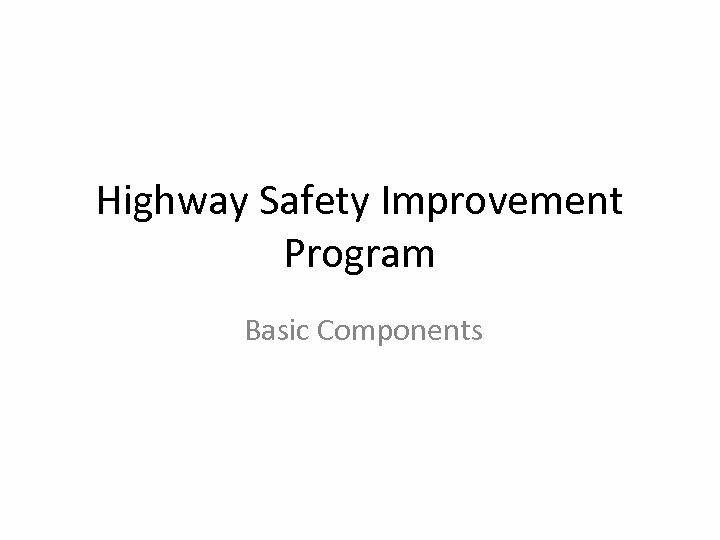 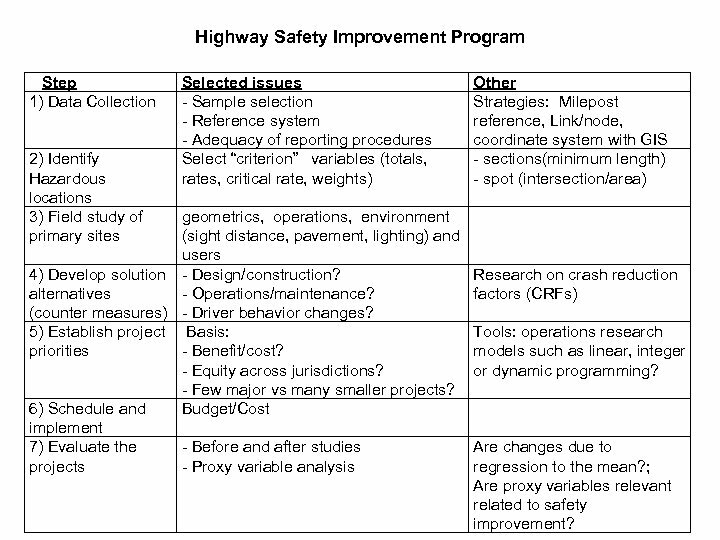 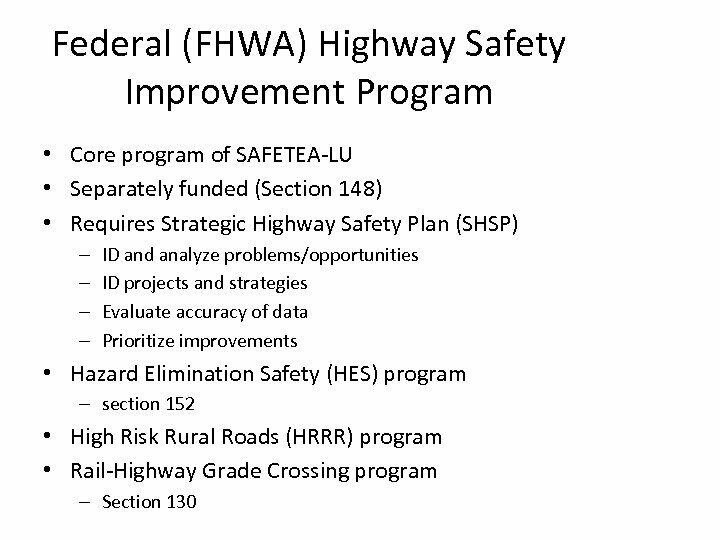 Highway Safety Improvement Program Step 1) Data Collection 2) Identify Hazardous locations 3) Field study of primary sites Selected issues - Sample selection - Reference system - Adequacy of reporting procedures Select “criterion” variables (totals, rates, critical rate, weights) geometrics, operations, environment (sight distance, pavement, lighting) and users 4) Develop solution - Design/construction? 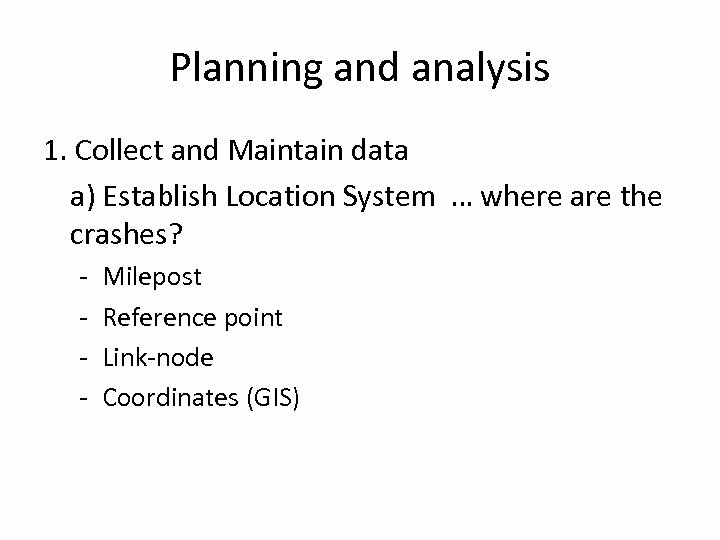 alternatives - Operations/maintenance? 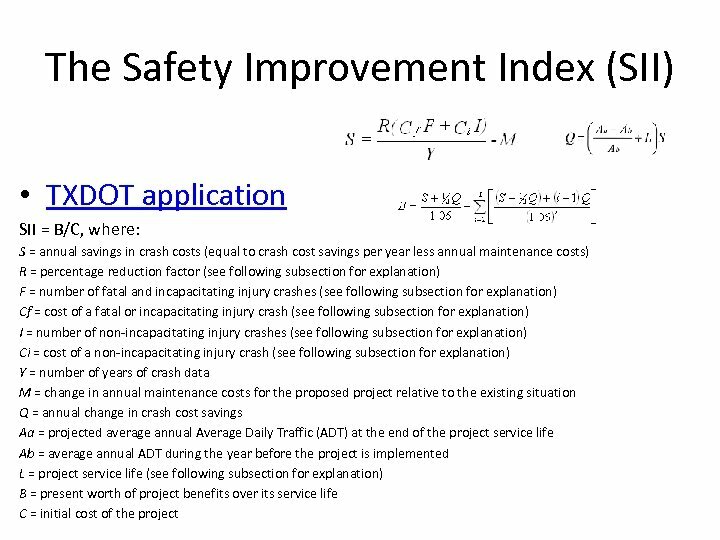 (counter measures) - Driver behavior changes? 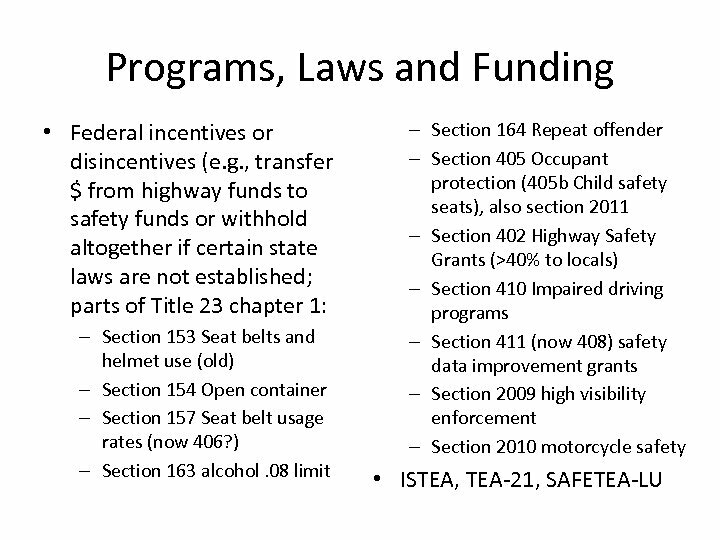 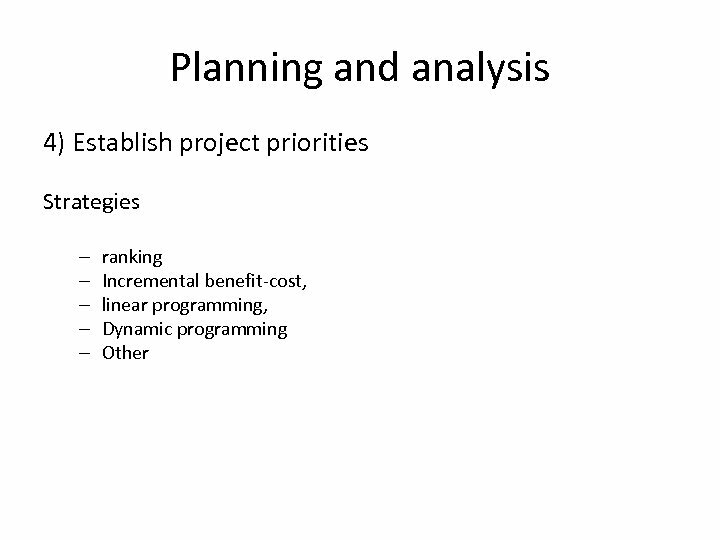 5) Establish project Basis: priorities - Benefit/cost? 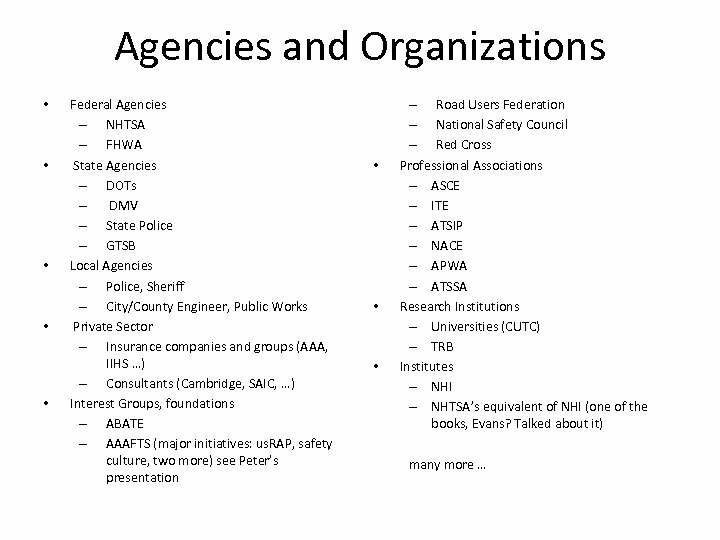 - Equity across jurisdictions? 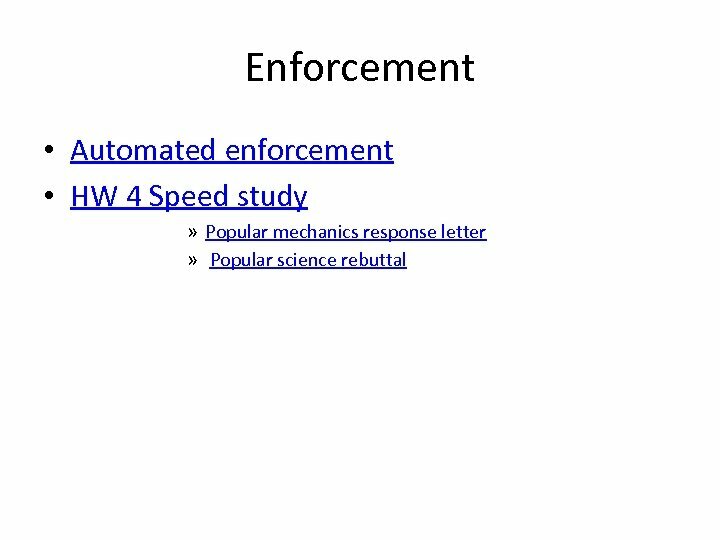 - Few major vs many smaller projects? 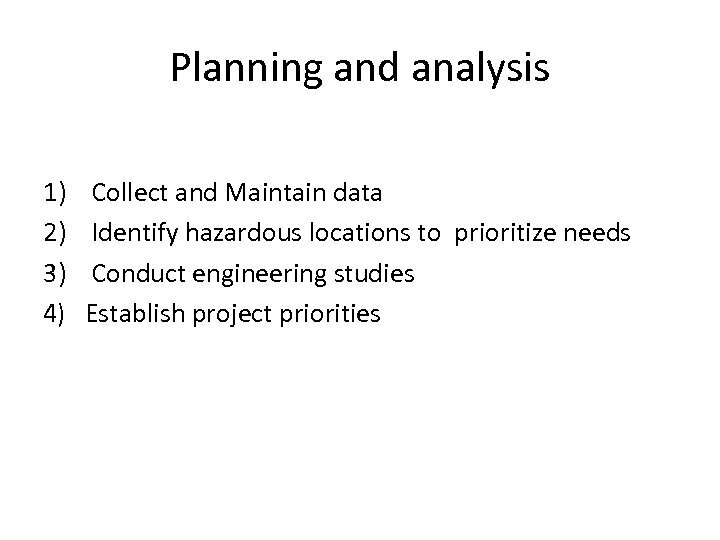 6) Schedule and Budget/Cost implement 7) Evaluate the - Before and after studies projects - Proxy variable analysis Other Strategies: Milepost reference, Link/node, coordinate system with GIS - sections(minimum length) - spot (intersection/area) Research on crash reduction factors (CRFs) Tools: operations research models such as linear, integer or dynamic programming? 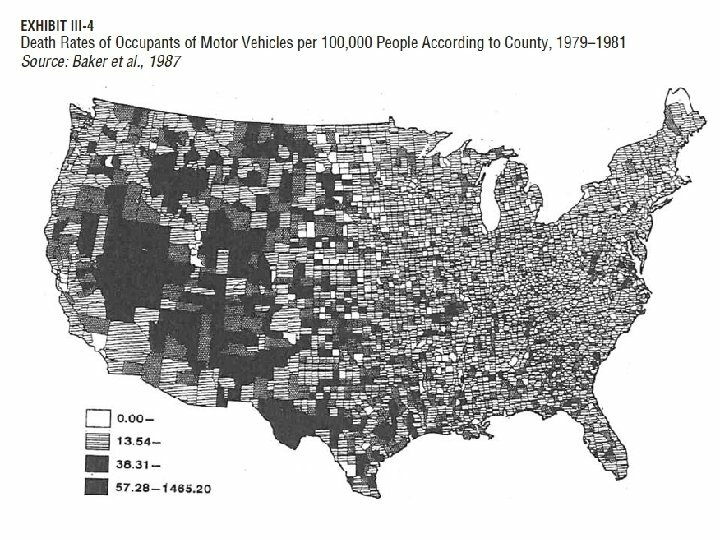 Are changes due to regression to the mean? 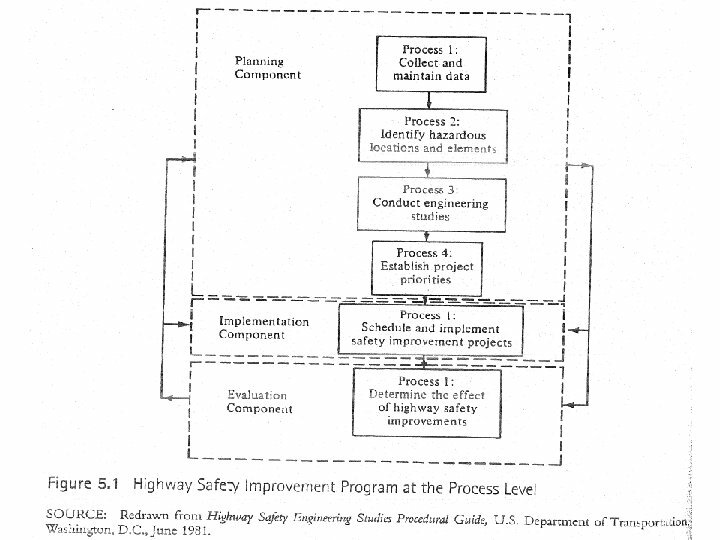 ; Are proxy variables relevant related to safety improvement?